The Minister for Trade and Investment Hon Andrew Robb has issued an article highlighting the importance of the recently concluded Free Trade Agreement with South Korea, one of Australia’s most important regional partners and Asia’s fourth largest economic powerhouse. In the article published in the Australian Financial Review, Mr. Robb points out the independent economic modelling estimates, which show that under the FTA, exports of agricultural goods to South Korea would be 73% higher than otherwise by 2030, accounting for a total of 5% increase in Australia’s agricultural exports. According to Mr. Robb, mining exports will also experience significant rise of up to 17% higher than otherwise, with manufacturing exports rising to a significant 53%. 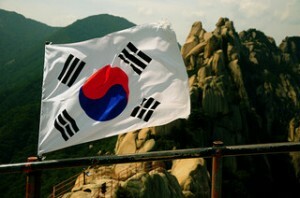 That said, not everyone is so convinced that the FTA with South Korea would prove beneficial to the country’s economy. Members of the automotive industry are concerned that the agreement could hurt local manufacturers. “Some sectors may face increased competition from imports of Korean products and services, such as motor vehicles, automotive parts, steel products and textiles, clothing and footwear,” according to the government’s statement quoted in a report on the Sydney Morning Herald. AMWU Chief Andrew Dettmer has labelled the deal as “a disaster for manufacturing”, and accused the Coalition Government of putting the local industry at the bottom of their agenda. Richard Reilly, chief executive of the Federation of Automotive Product Manufacturers, has also warned that the Australian part manufacturers will find it difficult to compete with the auto giant that is Korea, with an annual production of 4.5 million vehicles. Minister Robb, nonetheless, maintains that the KAFTA deal will prove its worth in the long run. According to him, the agreement secures markets which have been under pressure from the countries major competitors, such as the USA, the EU and ASEAN countries through its respective FTAs. Minister Rob says that if the government did not conclude the deal, agricultural exports to Korea would have declined by 29% by 2030. He also rubbishes the claims that automotive industry will suffer from the deal, saying that it will create new opportunities for Australian automotive suppliers into Korea, who will abolish high tariffs of up to 8% on automotive exports, including gearboxes and engines, effective immediately. KAFTA represents the alignment of Australia’s foreign policy with its economic interests – a key example of the government’s policy of economic diplomacy. The FTA with Korea is the first of three FTAs to be concluded with one of the country’s major trading partners in North Asia- the others being Japan and China.